ADVENTURES OF HUCKLEBERRY FINN. Tom Sawyer's Companion. A Volume in The 100 (One Hundred) Greatest Books Ever Written. Adventures of Huckleberry Finn Na Angl Iazyke. 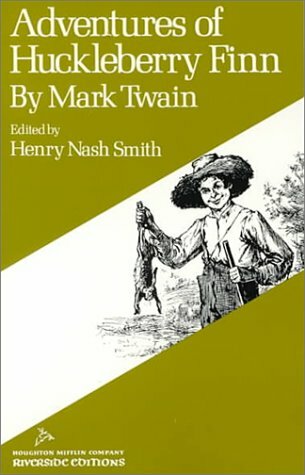 The Adventures of Huckleberry Finn/Priklyucheniia Gekkel'beri Finna (na angliiskom iazyke). Seriia: English Fiction Collection. ***REPRINT***The adventures of Huckleberry Finn (Tom Sawyer's comrade) ..
A seminal work of American Literature that still commands deep praise and still elicits controversy, Adventures of Huckleberry Finn is essential to the understanding of the American soul. The recent discovery of the first half of Twain's manuscript, long thought lost, made front-page news. And this unprecedented edition, which contains for the first time omitted episodes and other variations present in the first half of the handwritten manuscript, as well as facsimile reproductions of thirty manuscript pages, is indispensable to a full understanding of the novel. The changes, deletions, and additions made in the first half of the manuscript indicate that Mark Twain frequently checked his impulse to write an even darker, more confrontational book than the one he finally published.